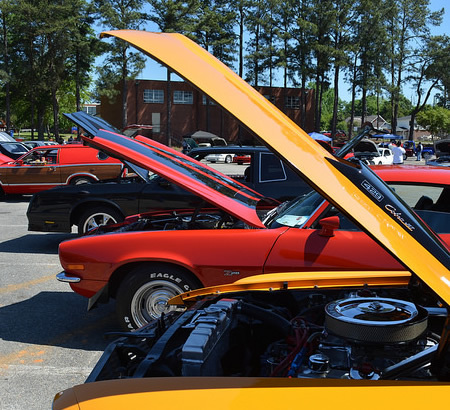 Oct. 8, 2015 – The Fort Valley State University family and the Boys and Girls Club of Georgia Heartlands are revving up for the eighth annual Wheels in the Valley Car, Truck and Motorcycle Show. Classic hot rods tricked out trucks and impeccably restored Chevys, Fords, and Model T’s will line the Wildcat Stadium parking lot on Saturday, October 24, 2015. Plaques and specialty trophies will be presented at a special awards ceremony. To allow time for judging, the 8 a.m. registration ends at 11:30 a.m. The awards ceremony begins at 3:30 p.m. Registration is $25 for cars, trucks and motorcycles. The entry fee for pre-registered vehicles is $20; additional vehicles, $10. Admission for spectators is free. Proceeds benefit the Boys and Girls Club of Georgia Heartlands and FVSU’s scholarship fund. Download the registration form below or call (478) 825-6290.